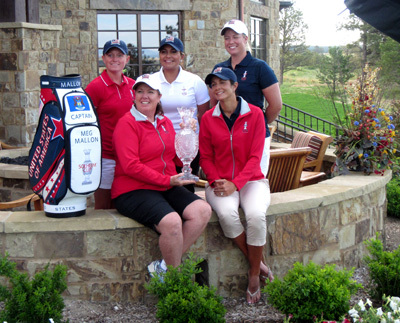 STACY LEWIS, MEG MALLON (captain), LAZETTE SALAS, LAURA DIEZ (assistant captain), Brittany Lincicome. 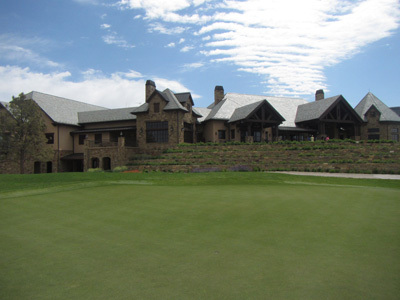 Before I get into this article today, please be advised that the Solheim Cup has announced that 15% of all ticket sales for the remaining days in June will go to the Colorado Professional Fire Fighters Foundation http://www.cpfffoundation.org. 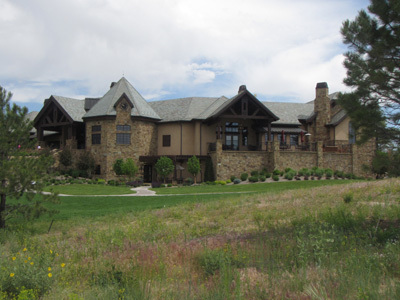 Colorado Springs is expected to have lost over 500 homes in the recent Black Forest Fire. Scroll down for ticket information. Don’t miss this opportunity to see this unusual competition between the best U.S.A and European professional women golfers. To order go to http://www.solheimcup.com. This year’s Solheim Cup is going to be very special for me. I was fortunate to work at the Ryder Cup (the men’s version of the Solheim Cup:) at Medinah Country Club near Chicago. I can hardly wait to make the comparison. At the Ryder Cup I assisted in marshaling the 12th hole. At this year’s Solheim Cup I will be a walking marshal with the players every day. What sticks in my mind from this media day, was the friendships, relationships and love these ladies have for each other. I get the feeling they care as much about each other as they do about winning. This came across very clearly at the news conference. Meeting Stacy Lewis was amazing. What impacted me most was that this lady is almost tiny and had a lovely handshake. Why is this amazing? It just proves that girls interested in golf do not have to be a Brittany Lincicome who’s drives average over 275 yards. Stacy leads the team with over 783 Solheim points with seasoned pro Christie Kerr following with 478.5 at present. Do a web search for Stacey. You will be blown away by learning more about this outstanding person. The team, captained by Meg Malllon, is not complete yet. The final team will be announced following the British Women’s Open this July. 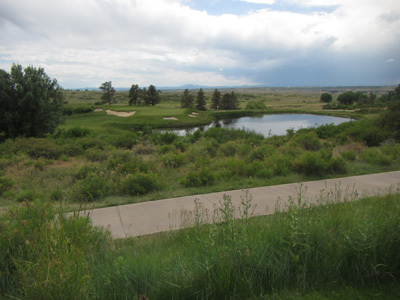 After the news briefing, attendees were treated to a round of golf at the Colorado Golf Club. Our foursome caddie, or forecaddie, was an English gentleman, Mark, who has been a caddie at the club since its opening seven years ago. In the winters he is the caddie master at a clubs in Florida. He reminded me of caddies that carried my bag when I played courses in Scotland in 2006. Nothing beats an experienced caddie when it comes to playing challenging courses for the first time. 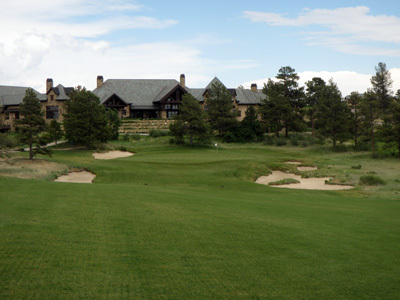 I was surprised to hear that the LPGA ladies that played practice rounds at the Colorado Golf Club brought their own caddies and did not avail themselves of club caddies, at least in a consulting basis. If the Europe team will have any advantage this year it may be that they hire club caddies during practice rounds and competition. 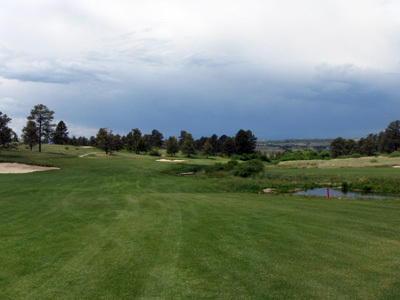 The course and its greens are more than challenging. 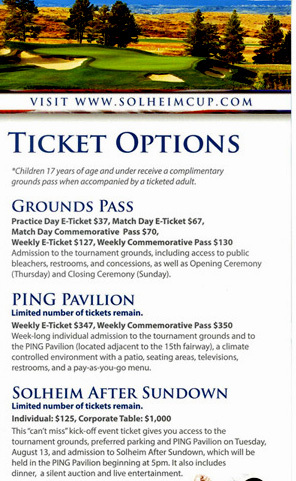 For more information visit http://www.solheimcup.com as well as http://www.lpga.com.